This year’s Harvest Appeal is in aid of WaterAid. During the first half of September we picked up a free bottle of water from church, and have been filling them with our spare money. The bottles will be collected on the 19th October at our Harvest Festival service, and they will be sent to WaterAid. 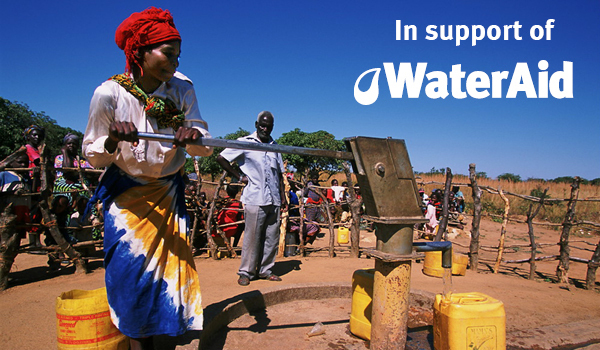 WaterAid was founded in 1981 in response to the UN’s Decade of Drinking Water and Sanitation (1981-1991.) 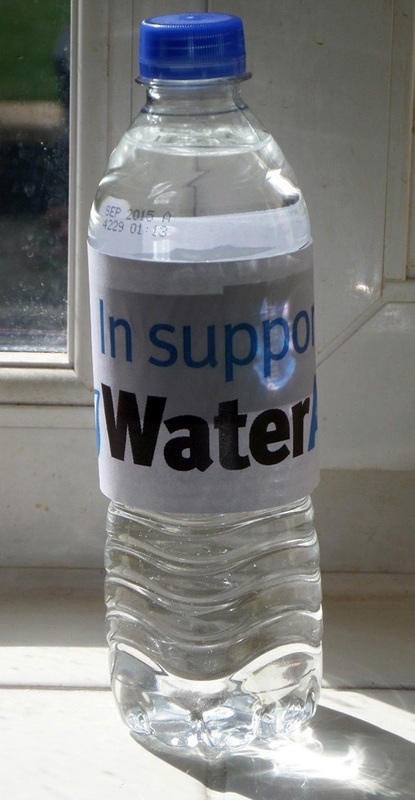 Money was initially raised from members of the UK water industry. In the decades since, WaterAid has raised money from the public and industry across the world, and has funded projects and advocacy for many different countries. 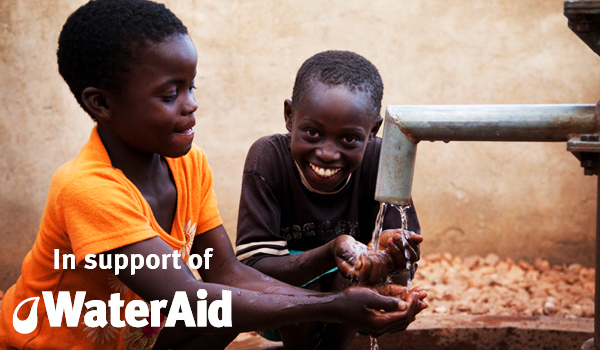 In 2013/14 WaterAid reached 1.9 million people with safe water and 2.9 million people with sanitation. Lack of water, sanitation and hygiene costs Sub-Saharan African countries more in lost GDP than the entire continent gets in development aid. Since 2004, WaterAid has reached 18 million people with sanitation. Diarrhoea is the third biggest killer of children under five years old in Sub-Saharan Africa. Hand-washing could reduce the risk of diarrhoea by nearly 50%. This entry was posted in other, Seasons. Bookmark the permalink.